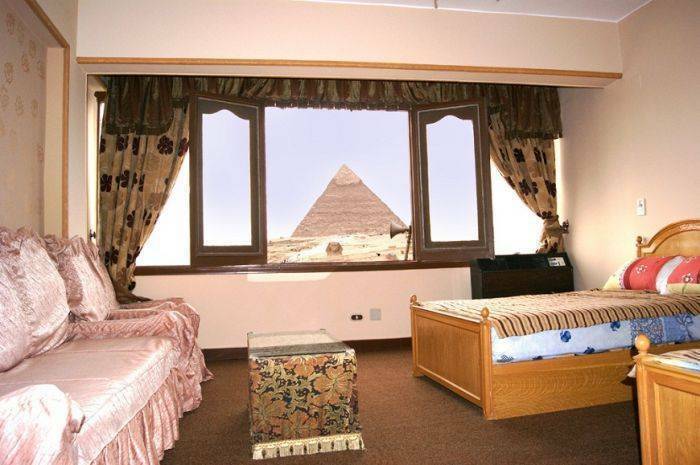 With 300 feet away from the Giza plateau, Guardian Guest House offers a superb unmatched view of the 3 Pyramids of Giza and the Sphinx. 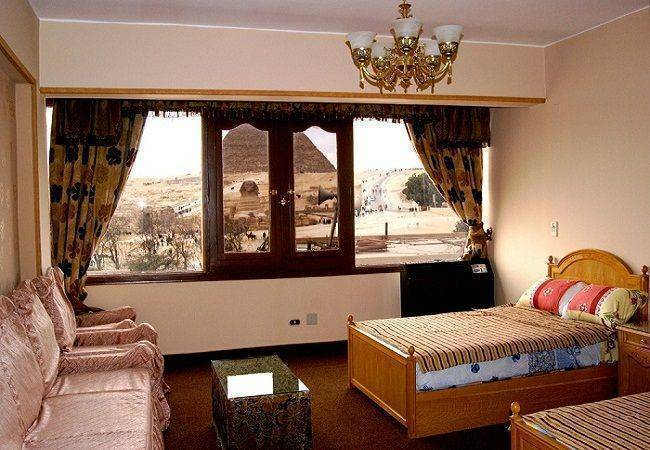 From the comfort of your bed, you can gaze upon the magnificence of the pyramids at any time. 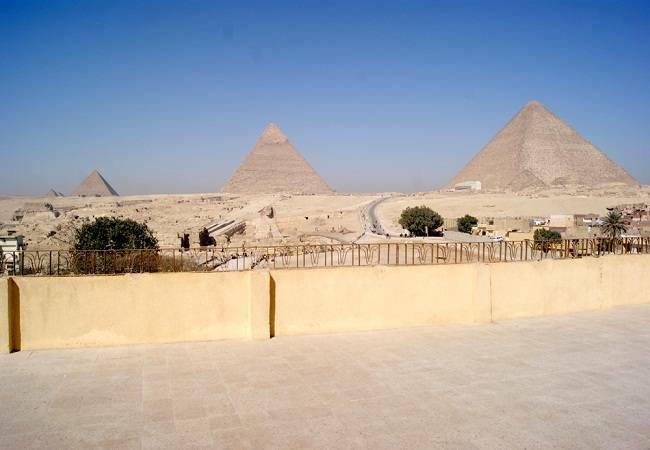 Giza Pyramids and Sphinx: 300 feet. 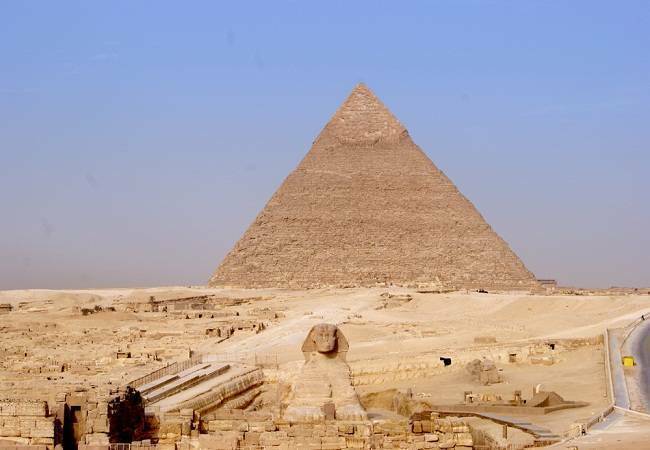 Cairo International airport: 35 Kilometers. 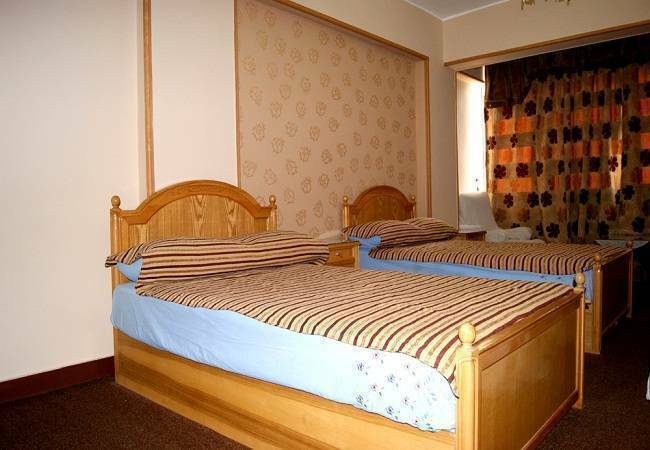 Air conditioned tourist vans, buses and taxis.